While we have been in the business for well over 50 years, it is only natural that we source and supply the best products when it comes to jewellery measuring equipment and tools. Our goal is to ensure that every customer’s experience is convenient, hassle free and informative, which is why we’ve taken out the time to put together a list of our top 5 measuring equipment, all available from our online shop! This value line combination ring stretcher, reducer and ring bending tool makes stretching plain wedding ring bands a piece of cake. This upright ring stretcher features a 4-spline graduated marked, stretching mandrel, that expands on the upstroke of the handle for stretching non-ferrous metal and non-stone-set, plain wedding bands from the smallest size right through to the largest size. This combination tool also includes a built in ring bending jig with a single flat die for forming and shaping ring stock into bands. The base has four mounting holes for securing the ring stretcher to a bench or work table. It is best used for non-ferrous metals such as gold, silver, platinum and palladium. Requires occasional greasing at the two grease points on the body of the stretcher. The manual vernier caliper is a precision tool used to measure internal, external distances and depth extremely accurately. Measurements are interpreted from the scale by the user and the manual vernier caliper has both imperial and a metric scale. Vernier calipers are rugged and have long lasting accuracy. This convenient tool is used when measuring the length of an object, the outer diameter of a round or cylindrical object, the inner diameter of a pipe, and the depth of a hole. To insure that the vernier caliper is properly zeroed, caution must be taken. Through misuse, it is most likely that the vernier caliper will not read zero when the jaws are perfectly closed, leading to zero errors. To correct this, a zero correction must be made. A correction may be either positive or negative. If the first mark on the auxiliary scale lies to the right of the main scale, then the reading is too large and the error is positive. Likewise, negative zero error occurs when the jaws of the vernier caliper are closed. The reading is a negative reading and the correction should be added from the measurement reading. You also get a dial caliper and digital calipers in our range too. The barometer is an instrument for measuring atmospheric pressure, used especially in weather forecasting. Because atmospheric pressure changes with distance above or below sea level, a barometer can also be used to measure altitude. An aneroid barometer indicates pressure on a dial using a needle that is mechanically linked to a partially evacuated chamber, which responds to pressure changes. It was invented in 1643 by the Italian scientist Evangelista Torricelli, who used a column of water in a tube, 34 ft (10.4 m) long. Fishermen are keen strategists using a barometer to determine fish behaviour trends. This plastic ring size gauge is very economical to use anywhere, anytime. You can give them away to your customers, making it easier for them to surprise someone with a ring. 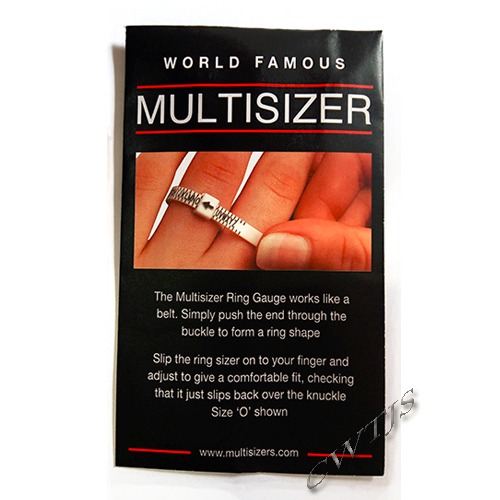 It allows them to take the sizer home to find out what ring size they need to purchase. This handy little tool has some precision based functions. It has a built in laser measuring tool for sighting and ultrasound for measuring. The Ultrasound conducts measurements of lengths, surfaces and space volumes. It has an automatic addition and multiplication. The measurement can be sighted by exactly matching the laser circle and ultrasound measuring range. It has an incredible measuring range, measuring from 0.6 m to 15 m.